Welcome to your one-stop source for real estate services covering Little River, North Myrtle Beach, Myrtle Beach SC and Brunswick County NC. Whether you’re coming here to start a business, raise a family or retire, the Grand Strand is ready to provide you with much more than 60 miles of picture perfect Carolina coastline. Natural beauty, mild climate and friendly neighbors, along with world-class attractions, golf courses and dining, make the Grand Strand a wonderful place to call home. Easygoing Southern hospitality and a relaxed pace of living have been attracting residents to our coastline for years. From golf course villas to seaside houses to luxury condos, you’ll find options to fit every lifestyle and budget on this website. Just click on the “Roz’s listings” tab to see available properties in Little River, North Myrtle Beach and Myrtle Beach, S.C., as well as property listings in Brunswick County, N.C.
Life in Little River, S.C., is slightly slower than other places along the Grand Strand. This quaint fishing community sits just below the North Carolina border along the Intracoastal Waterway and is home to people that enjoy the close proximity to the beach without the hustle and bustle of other downtown coastal areas. There is never a shortage of locally caught, fresh seafood in Little River. Its most popular event, the Blue Crab Festival, is even named after a favorite local delicacy and attracts vendors and entertainment from around the United States every May. Made famous as the birthplace of the shag, South Carolina’s state dance, North Myrtle Beach has been attracting thousands of loyal vacationers to its shores for many years. Each year, some of those visitors decide to stay for good. And it’s no surprise with its beach town atmosphere, wide coastline and beautiful fishing piers that people are deciding to stay. North Myrtle Beach has maintained a personable, laidback atmosphere even as shopping, dining and entertainment options have continued to blossom, making it a wonderful option for those seeking retreat from, as well as easy access to, the more urban landscape of downtown Myrtle Beach. Known to South Carolinians as the Seafood Capital of the Palmetto state, Murrells Inlet is located on the southern end of 60 miles of Grand Strand shoreline. Smaller in size than Myrtle Beach or North Myrtle Beach, Murrells Inlet is a historic fishing village and home of the mile long Murrells Inlet Marsh Walk, a boardwalk that lines a natural, pristine saltwater estuary. From its quaint cottages to more luxurious waterside living, Murrells Inlet is the perfect home to those who enjoy picturesque natural surroundings, laid back charm and an abundance of fresh caught seafood. With a population of about 29,000, Myrtle Beach is the most centrally located and largest community comprising the Grand Strand area. Bright lights and beautiful resorts line sections of Myrtle Beach oceanfront, and chic boutiques and award winning restaurants are never far away. For those seeking a more urban lifestyle, among the ebb and flow of locals and visitors alike, Myrtle Beach is the perfect location to call home. A golfer’s paradise, shopper’s delight and perfect place to stay active or raise a family, Myrtle Beach provides residents with the ideal location to live, work and play. Pristine and uncrowded beaches may be the first and general attraction to the Brunswick area of North Carolina, but there is far more than coastline to discover. Several small towns dot the overall historic mainland area, while small communities like Holden Beach have earned distinguished recognition from magazines like National Geographic Traveler. Just across the South Carolina state line, homeowners in the Brunswick area have access to a variety of lifestyle options, all pleasing, due to the warm climate of the coastal Carolinas and close proximity to nature. Purchasing real estate is one of the most exciting investments you can make, and it should be both a fun and rewarding experience. Let me help you find the perfect home in a beautiful, coastal region that is as diverse as it is appealing. Click here to learn more about me. To see why USA Today says buying real estate in the coastal Carolinas is growing in popularity, click here. Roz Murray is very professional and her extensive knowledge of the Myrtle Beach area was beneficial in selling our condo. She listened to our needs and preferences and was dedicated to helping us reach our goals. We felt we were her only client though we know she was very busy. She is a real pleasure to work with and would highly recommend her to anyone buying or selling. I have read some of the other reviews and agree completely with them. We value Roz as a real friend after working with her, getting to know her and her high standards and work ethic. We have bought and sold several homes with Roz Murray and she is an outstanding real estate agent who used her 25 plus years of real estate knowledge and expertise to help us achieve our real estate goals. Roz's check list covers every detail of every transaction and she makes sure each to do item is addressed and checked off. 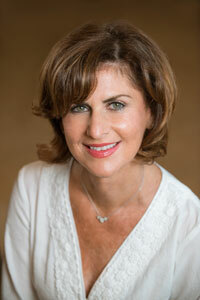 Roz thinks with you and for you whether buying or selling a home. Thank you Roz Murray for being this area's outstanding real estate agent but more importantly, thank you for being our outstanding real estate agent. Roz Murray is the best! I have nothing but the best to write regarding REMAX/Southern Shores. I had the best agent, Roz Murray when purchasing a new home. Her personality was great. She was friendly and NOT PUSHY!! Roz walked me through every step of the purchasing process and closing was a breeze. She was always quick with the answers and promptly returned my calls. Purchasing a home is a huge process, but Roz made it easy!! I highly recommend Roz Murray with REMAX/Southern Shores. I not only gained a new home, but a new friend as well.